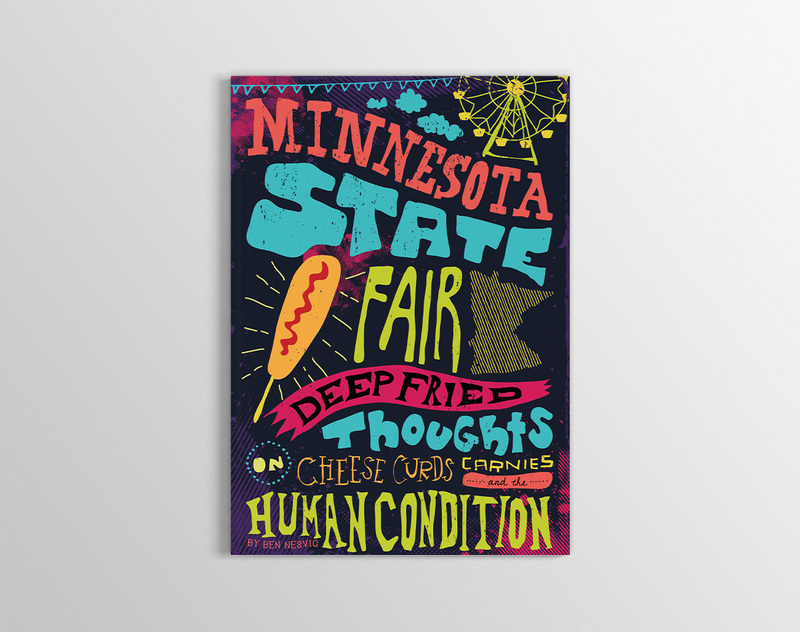 Minnesota State Fair: Deep Fried Thoughts on Cheese Curds, Carnies, and The Human Condition is a fun book chalk full of satirical thoughts and quirky observations straight from the mind of Ben Nesvig. 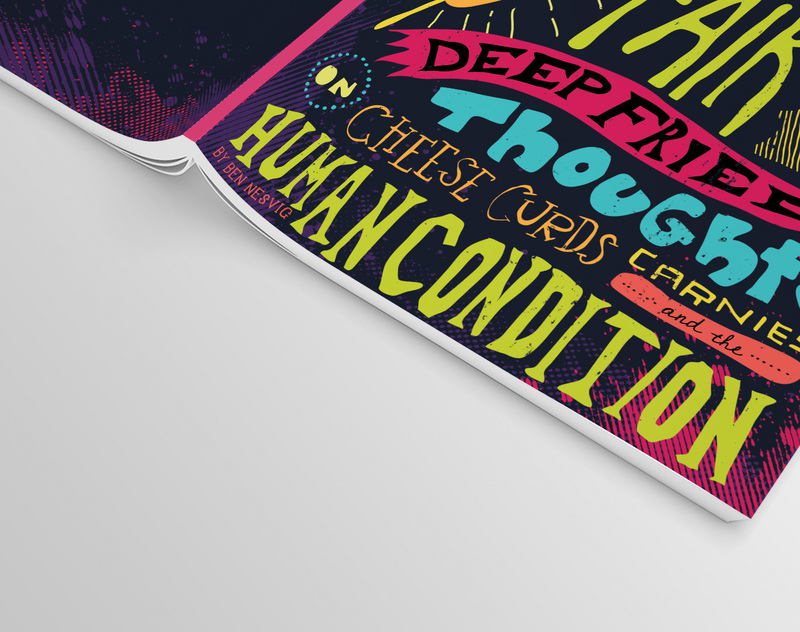 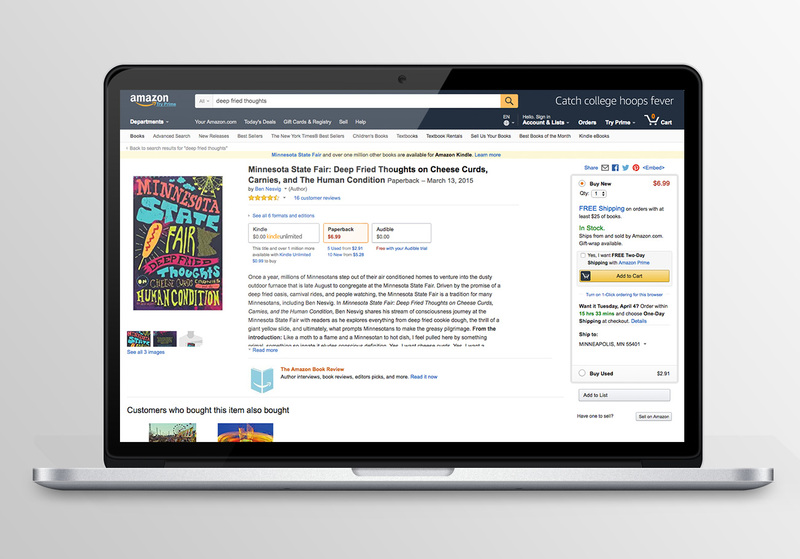 I designed the cover of this book with just that in mind. 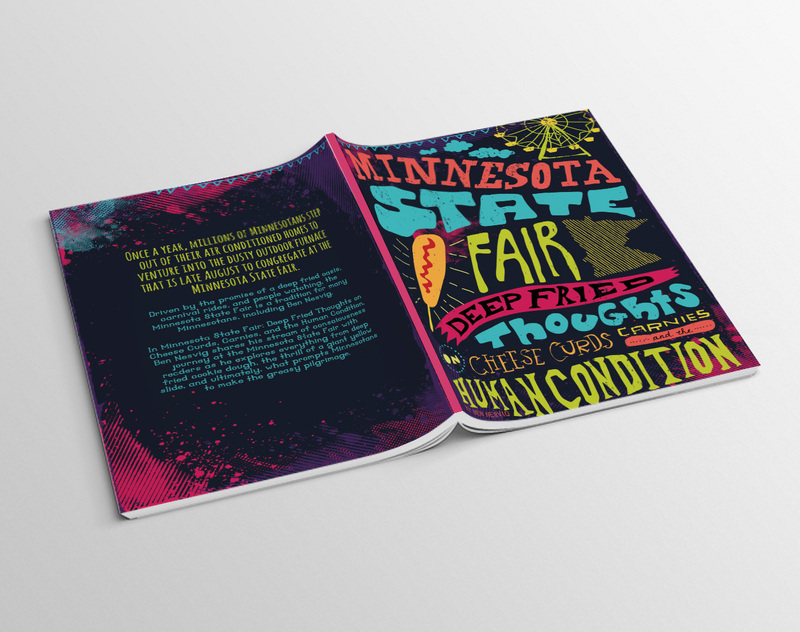 I wanted it to feel like you were holding a piece of the MN State Fair right in your own hands. 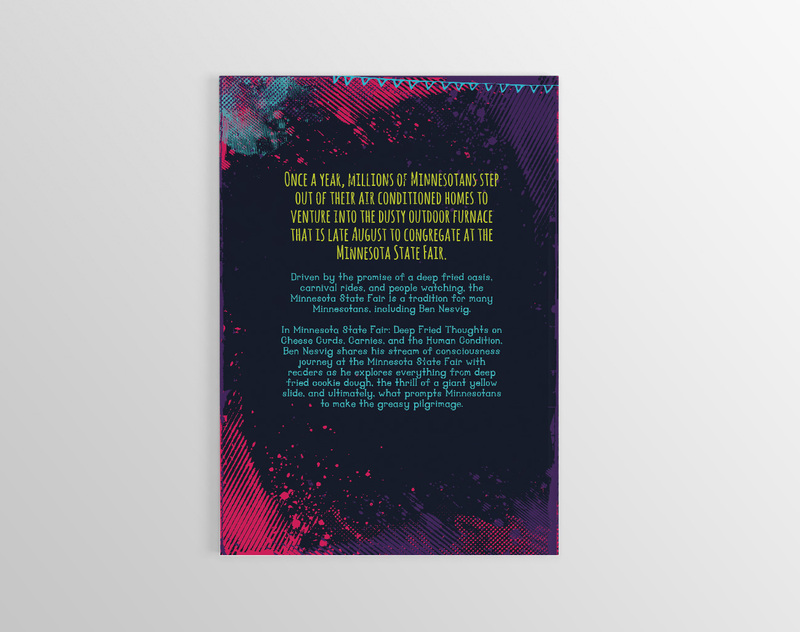 It is bold and exciting with the use of hand-drawn typography and bright colors, but yet at the same time a little unsettling with angled and unaligned text and the subtle patterns of greasy fingerprints in the background.